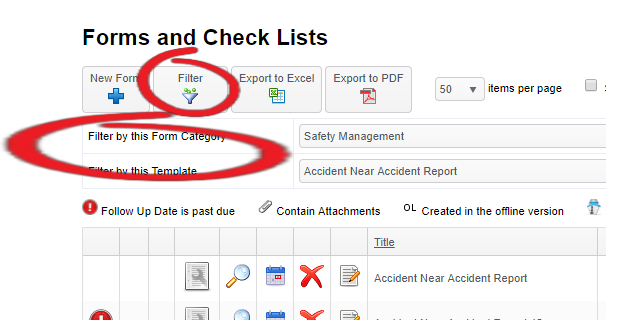 To view a form go to 'Forms' - 'Forms & Checklists'. This page will provide a table and will show all forms that have been created for this vessel. If you cant find the form you need you can further filter them by category or by a specific form template, and also by clicking the 'filter' button, selecting your filters and clicking 'Apply'. Once you find the form you would like to view, click the 'View' icon next to the form. Pro Tip: You can see more details about the form and also previous version by clicking the 'View Details' button just to the left of the view icon.